Voting will remain open until August 21st, and the winners will be announced at the Golden Tap Awards party on Saturday, August 27th at beerbistro in Toronto. The event will also feature an Ontario craft beer festival, and there will be a real-time Golden Tap Awards vote for the best beer available at the festival. There will also be a Golden Tap Awards dinner on Friday, August 26th, featuring various Ontario craft beers paired with food courses created by beerbistro’s Chef Brian Morin and his kitchen team. 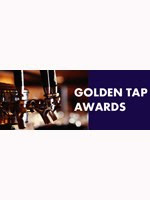 Votes can be placed now at www.goldentap.com, and more details about the dinner and awards festival will be announced there soon.